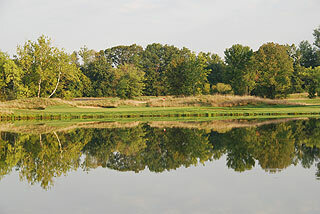 Otter Creek Golf Club in Columbus is a 27-hole championship course designed by Robert Trent Jones and Rees Jones, which was ranked as # 31 out of "America's Greatest Public Golf Courses" by Golf Digest in 2003. 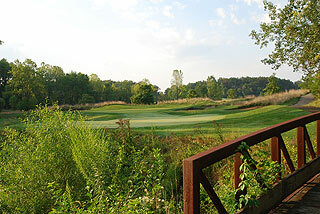 Winding through 300 acres of hilly terrain that features over 3000 trees, the landscape includes the Clifty and Otter creeks - which meander throughout the layout creating strategic water hazards. 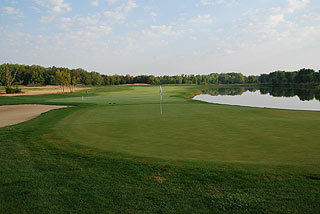 The 3 nines are distinctive in nature, providing variety in design and shot selection. The West course was our favorite layout, with an abundance of bunkering that not only shapes the fairways and greens, but also squeezes the landing areas of many holes. At 3580 yards from the tips, distance plus accuracy are necessary here. Doglegs dominant this nine, with at least three tee shots favoring a right to left shot shape. Long hitters will be able to carry the traps that are situated in the "cut" of the doglegs - those with less distance will have to lay up safely to the open sides. Alternate tees measure 3412, 3217, 2756 and 2646 yards. The North course is quite similar in nature, but a bit more open with some holes reflecting a links style design. There is a mix of holes bending in either direction, and the bunkering is a bit less pronounced. 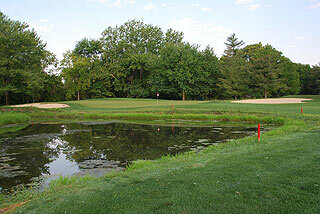 Water in the form of ponds and creeks comes into play on three holes. This is the longest of the 3 nines, with the tips measuring a whopping 3678 yards! Alternate sets play to 3485, 3320, 2934 and 2842 yards. There was a junior tournament taking place on the East nine during our visit. We did not get a chance to play it, but as the photos below indicate, this nine is the most open and perhaps the easiest to maneuver of the three. 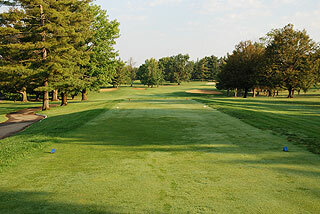 A links flavor is prevalent, with the first tight, tree lined fairway appearing on the eighth hole. The five sets of tees play to 3546, 3373, 3098, 2647 and 2539 yards. Like the other nines, the East presents outstanding conditioning with large greens that are not overly undulating, but that do feature ridges and tiers. The tees and fairways are wonderfully manicured, affording the public an opportunity to play a public course with tournament conditions. 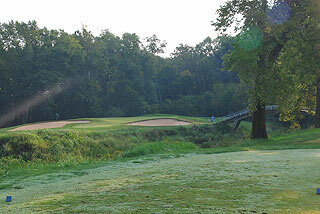 The course is set in a secluded environment, with no residential properties on site. 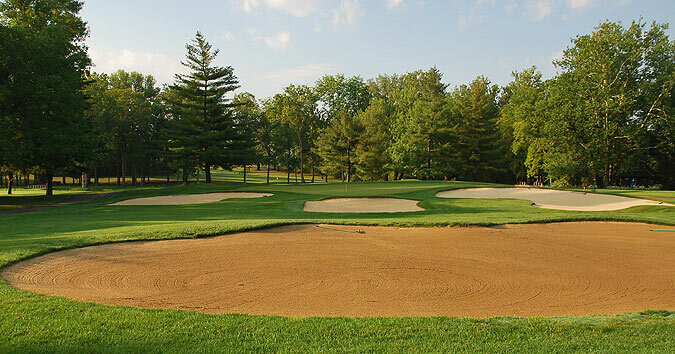 Amenities include 8 miles of paved cart path, a targeted grass range that can facilitate 50 golfers, a 15,000 square foot putting green and a practice chipping green with sand bunker. The clubhouse features a full service pro shop plus snack area/lounge with beverages and hot/cold sandwiches. Banquet/outing facilities are spacious, and meeting rooms are also available. Men's and Women's locker rooms with showers are also on property. On course permanent markers on the cart paths provide measurements at 100, 150 and 200 plus 250 on par fives. Yardage blocks and sprinkler heads on the fairways are also marked, and color coded flags indicate the day's pin placement. 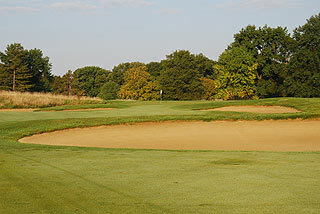 Many championship tournaments have been held at this property, including: the 1991 U.S. Amateur Public Links Championship, the American Junior Golf Championship, the Independent Youth classic, and the Indiana Men's Amateur Championship - 26 times. 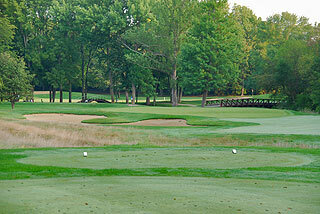 The course has also served as a qualification site for the U.S and Senior Open, plus the National Public Links. With the 27 holes, great practice facilities and accommodating clubhouse and service, Otter Creek is perfect for outings and special events. The five sets of tees allow golfers of all skill levels to choose a challenge that suits their game - with slopes ranging from 118 to 136. For more info, visit our page for Otter Creek, with direct link tot heir website by clicking here.